I have been holding out thinking about Fall fashions... but I think I am finally ready to talk about it. Starting with J.Crew of course. Pinks for Fall - yes please! Scratching my head: mo-hair jacket? Head to toe (lit-er-ally) print? PJs for day time? Have you checked out the J.Crew Fall/Winter Lookbook? What was a hit for you? a miss? love the prints!! and am ready for fall!! 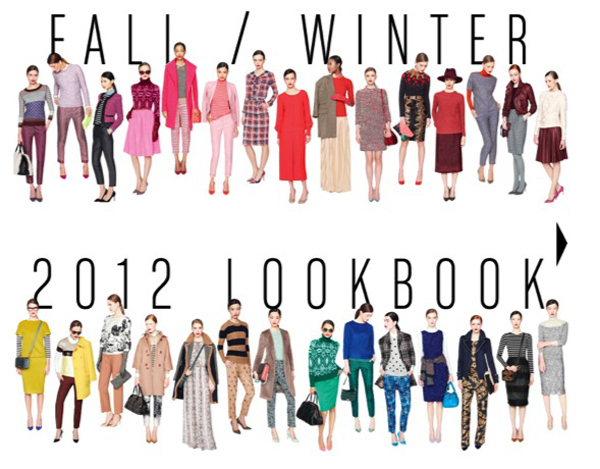 After looking at the designer fashions and their dark colors I am relieved to see pinks for Fall. 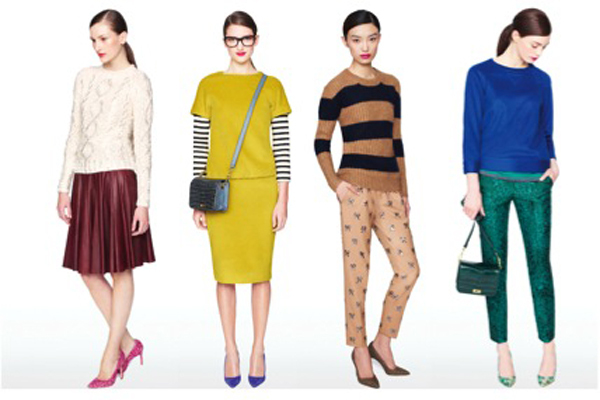 I can't afford or fit into these fashions but hopefully the colors will be available in other fashions. oh i love all of the color for fall! I wish i could buy everything in their collection! Amen sister! 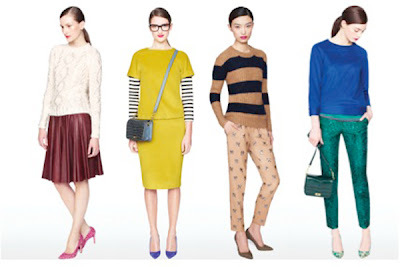 I'm excited that Old Navy and Forever21 have had lots of J.Crew look alike pieces lately... But maybe I can splurge on one amazing J.Crew collection item!! 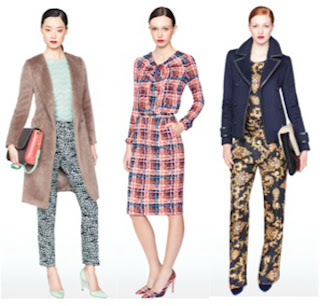 I love J.Crew as much as the next girl, but the head-to-toe print is just ridiculous! Seriously, I'm not going to wear pants that are made from the same cloth as my shoes! I actually love the things you've been scratching your head over the most :) I guess every has different tastes but personally the pj trend looks oh so relaxed and sophisticated if done right. I'm ridiculously excited for the return of vintage silhouette coats and trenches though. 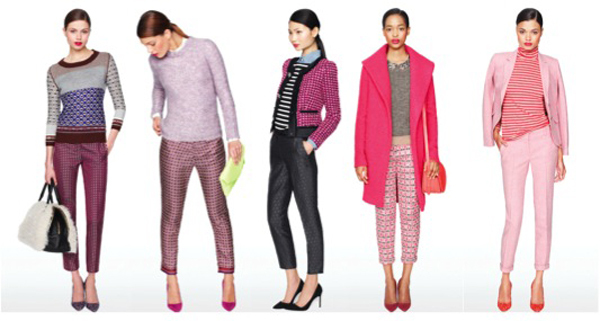 I have yet to look at their fall lookbook, but j.crew can do no wrong for fall... well, ever! Love all the mixed prints and leather! is simplicity ignorance or bliss?